My simple reason for being is to share with others the magic, the awe and the enchantment that I see each day in my travels. Love at first sight. A majestic Royal Albatross sits atop a windswept headland at Campbell Island, New Zealand. A Once-in-a-Lifetime Event! The Pincoya Storm Petrel in southern Chile, the first new storm petrel to be discovered in almost 90 years. Comical and demure the Atlantic Puffin is a character straight from central casting. They remind us once again of the child that dwells in each of us. A feathered 747, some Wandering Albatrosses measure over 11 feet wing tip to wing tip, can live to be over 60 years and are capable of flying over 2 million miles in a single lifetime. A Southern Ocean phenomena, penguins are the only family of birds where all members are both flightless and aquatic. The Macaroni is arguably most peoples’ favorite. Birds, perhaps the most colorful and vivid expression of life. Without their keratin-rich diet of brine shrimp, flamingos would turn white. 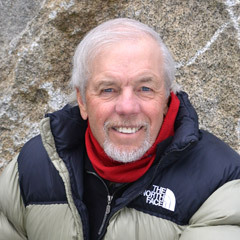 Peter Harrison has led expeditions throughout the world, from the Arctic to the Antarctic and everywhere in between. Peter has written and illustrated over a dozen books, of which Seabirds: An Identification Guide, is considered the bible of seabird identification. Peter is only one of a handful of authors to both write and illustrate bird books, but Peter Harrison is so much more than just a “bird man.” In addition to being a professional birder, entrepreneur, artist, author and screenwriter, Peter has devoted much of his time to conservation efforts and causes that are dear to him. In recognition of his outstanding work in natural history and his dedication to conservation projects, Peter was invited to Buckingham Palace and honored with the title, Member of the British Empire by Her Majesty Queen Elizabeth II. More recently Peter was invited to Westminster by the Royal Society for the Protection of Birds to receive their prestigious Conservation Gold Medal Award. 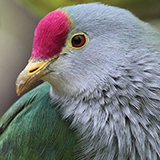 This honor is bestowed upon one individual each year in recognition of their support and dedication to wild bird protection and global habitat conservation. Past recipients have included Prince Charles and Sir David Attenborough. 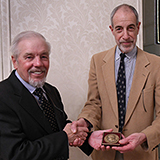 In March of 2017, Peter was the recipient of the Linnaean Society’s Eisenmann Award for Excellence in Ornithology. Exploration and discovery remain a driving force for Peter and during a recent expedition to Chile he led a six-person team to locate, catch and describe the first completely new storm petrel species to be discovered in nearly 100 years, the Pincoya Storm Petrel. It is safe to say that with Peter leading the charge, adventure always abounds. Ask Peter a question about his upcoming expeditions? The 21 species of albatross are among the longest-lived, the most itinerant, and with the largest wingspans, of all extant birds. Some live longer than 60 years, fly more than 1,000 miles each day, and have wingspans in excess of 12 feet. 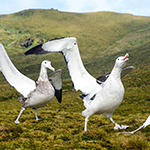 Alas, 19 of the 21 species of albatrosses are listed as threatened and their future survival remains shrouded in uncertainty. Numbers have plummeted in the last 50 years due to the introduction of predators at their remote breeding islands and more recently due to high mortality in the commercial long-line fishing industry.